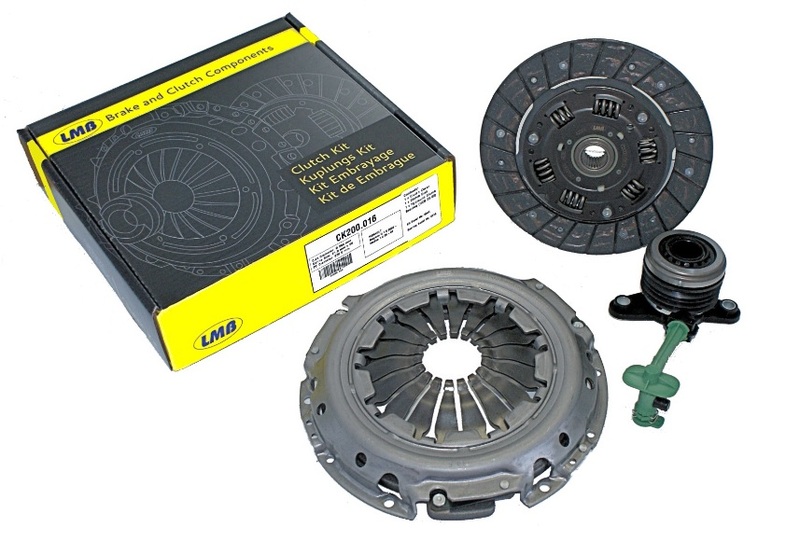 LMB is a manufacturer of premium quality clutch replacement kits for OE applications. The range includes 3 in 1 light and heavy duty clutch kits which includes the standard or hydraulic clutch bearing as well as 4 in 1 single mass flywheel conversion kits as replacement for dual mass flywheel clutch kits. Each kit is designed and manufactured in partnership with OEM suppliers to deliver the highest levels of quality and performance; providing you total piece of mind and delivering a competitive alternative to current clutch kits on the market today. What Makes The LMB Clutch Replacement Kits Unique? Use of high capacity coil springs and disks with a wide angle damper design that reduces gear noise while increasing torque capacity. Clutch cover assemblies that are tested for proper clamp load and clutch lift separation. Diaphragm spring fingers that are treated by using high frequency heat induction to prevent wear that normally occurs at the contact surface of the release bearing. Each Clutch Kit comes with an industry competitive warranty, whether for passenger car use or for heavy duty applications.